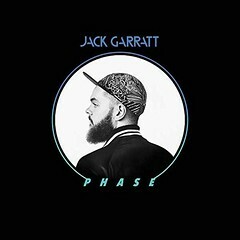 Jack Garratt has had quite a year. Being nominated for the Mercury Music Prize, winning the Brit Awards Critics’ Choice Award and only now releasing his debut record, the future is definitely looking strong for the British artist, but does the debut record live up to the hype? There is absolutely no doubting that Garratt has one of the more exciting sounds around currently, which could be considered either a good or bad thing, depending on who you are. By blending electronic music and heartache like it’s going out of fashion, he’s honed his craft, and the multi-instrumentalist has delivered an almost solid debut. Of course, electronic music and synthesisers aren’t for everybody, but Garratt tackles both subjects with approachability and little offence. Opener ‘Coalesce (Synesthesia, Pt. II)’ is a welcomed foray into his world that divulges a serious passion for love and a drop that just about wakes the living dead. This ethos doesn’t quite carry through to ‘Breathe Life’, where things are slightly more reserved and revolve around more radio-friendly sounds, being solely piano and beat driven. The way Garratt morphs sounds into one another is impressive, being a one man band so to speak you’d expect there to be a capacity to the creativity, but this is definitely not so and especially shown in how he arranges and composes. Subject matter doesn’t particularly stray from love and forlornness, which is a shame because not enough young artists who are in a position to be able to represent a generation like Garratt simply don’t. The voice of the generation represented by artists like Garratt could quite rightly be known as the drunken and heartbroken as this seems to be the general topic they edge towards. That’s not to say these lyrical subjects aren’t important but when an artist like Garratt, who is chosen by awarding bodies as a representation of British music, it almost seems a bit trivial. Back onto the subject of the actual musical content of the album: it could almost be considered electronic soul. The rhythm of most of the tracks flows with ease, only occasionally hitting a whirlpool that disrupts it, something that can be found on ‘Surprise Yourself’. It turns away from the majority of the album being perfectly executed suddenly into a mash of soaring pop vocals and instrumentation befit to an X Factor winner. Along the line of the vocals, Garratt has a soft and calming ability that can suddenly break into a completely different cadence and emit roars, something that aids the power within his performance. Overall, the record is a starting point that he should be absolutely proud of but by no means does this mean he should be finished honing his craft. There is much room for improvement in regards to the consistency of his sound. Experimentation is absolutely key in delivering a fresh sound, something to keep the listeners engaged. But floating between differing genres as the canvas for your sound winds up doing the opposite and encourages different reactions that don’t always fit together. ‘Phase’ is out now on Universal / Island Records. For past coverage of TGTF on Jack Garratt, go here. Stay tuned for Carrie’s coverage of Garratt at the Hype Hotel Tuesday at SXSW 2016 to post on TGTF soon.